Get ready for another mandatory Google upgrade! Tomorrow, September 16, 2014, there will be a forced upgrade in Google AdWords where all “Search and Display Networks” campaign types will become “Search Network with Display Select” campaigns. But no fear, like many AdWords announcements, this has been a long time in the making. First of all, since early this year “Search Network with Display Select” has replaced the “Search and Display Networks” option. This new forced upgrade only means that old campaigns originally created as “Search and Display Networks” will now be automatically transformed into “Search Network with Display Select” campaigns. And in all honesty, not many people use(d) this option, so it doesn’t change much in the AdWords scene. Why are we even talking about it then? Well, those people with Search and Display Networks campaigns will, theoretically, see improved campaign performance as of tomorrow, but more interestingly, this is as good a time as any to look at the campaign type and see whether it’s worth using Search Network with Display Select now that it has been upgraded. What is Search Network and Display? If you don’t know what Search Network and Display refers to, I’m sorry, you must have been pretty lost thus far. 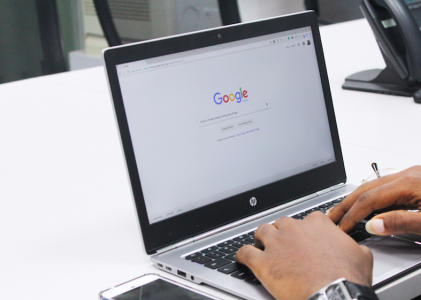 The campaign type, originally called “Search and Display Networks,” now named “Search Network with Display Select” simply refers to a campaign type that runs your ads on Google search, Google search partners and the Google Display Network. In plain english, this option combines search and display ads into one campaign. 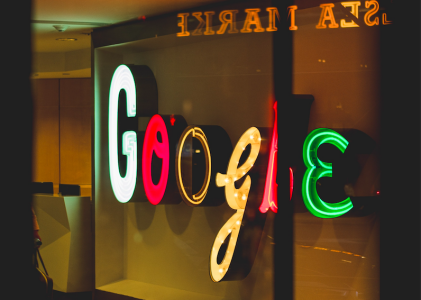 Despite best practices and advertiser intuition that suggest separating search and display into two distinct campaigns would help to better manage bids, budgets and performance in general, Google does make combined campaigns an option. Why combine search and display? In honesty, most advertisers probably use this combined campaign because it’s easier. You can manage this campaign just like a regular search campaign and settings like keywords and bids are automatically used to find customers on the Display Network, which means less work. 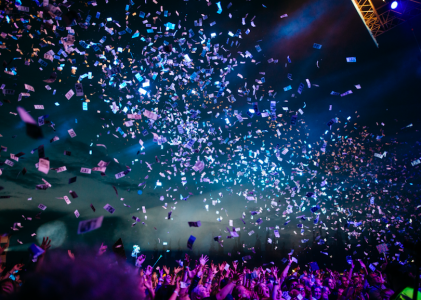 It may be true that a combined search and display campaign performs better than search alone, but I wouldn’t be as sure that a multi-network campaign outperforms separate display and search campaigns. This skepticism is likely one of the reason Google is implementing this mandatory change. Most advertisers feel there is too much ambiguity on the display network to justify combining the two in a way that is easily measurable, scalable, and primed for optimization, stated Jeff Stevens. According to Google’s case study, this upgrade has documented improvement, with as much as 1,300% more impressions and a cost per click at only 11% the CPC for search. Should you trust these numbers and use Search Network with Display Select campaigns? If you’re seeing success with seperate campaigns then maybe not. This upgrade does not affect search only or display only ads, so if you don’t used combined campaigns, this upgrade means very little to you. (Sorry if you read all this for no reason). If you are already using combined campaigns on the other hand, this upgrade may help you see positive changes in your campaign data and analytics in the future. 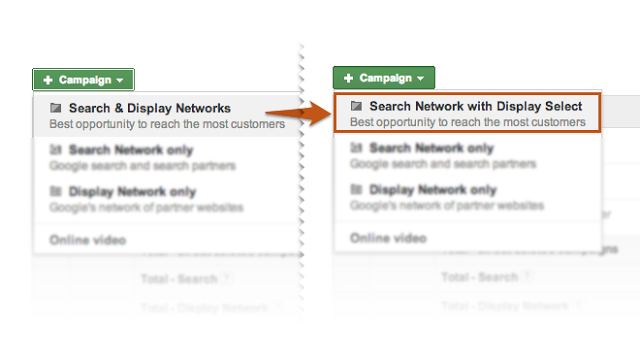 I say “may” because most campaigns created this year already use “Search Network with Display Select” and that would mean you won’t see anything different in your AdWords account. Do you use Search Network with Display Select? Let us know in the comments and school us, we love to be proven wrong.